Sat Nam I am known both as Joanna Moran and Guru Sahai Kaur my given spiritual name. I have been offering and training in holistic healing therapies since 1997. My passion is for CranioSacral therapy and Somato emotional release and more recently the Yogic Healing art of Sat Nam Rasayan. I am a Kundalini Yoga Teacher since 2005 and am now a Teacher Trainer, and with my Sister nutritional therapist Fiona Moran co owner of the Flourish Centre Westport, County Mayo. I offer Therapies and Kundalini Yoga sessions and classes in Westport at the Flourish Center and Kundalini Yoga classes and workshops in the wider community in Castlebar and Mayo. And am now offering workshops Nationwide. I am an Upledger Institute trained and Qualified CranioSacral Therapist I Started training and working in this field since 2000, qualifying in 2005 and I continue in advanced training education and also assisting on the Institutes courses for therapists in Training, and am one of the facilitators for the Somato Emotional Release Studygroups for Therapists in training in Ireland. I offer treatment clinic sessions for all ages, Pregnancy mum and baby in Utero, newborns, children, teenagers and Adults. And can be contacted for Introduction to CranioSacral therapy workshop days. I offer one to one therapy healing sessions and also Yoga one to one. Working to empower the Individual holistically and teach them practical techniques to use at home between sessions to continue their healing journey. The Kundalini Yoga Teacher training program I co-teach as a Proffesional Trainer with Jai Kartar Kaur and Lead Trainers Sada Sat Kaur and Singh and is presently in Cork and in now in Westport since January 2014. I work within Mayo Cancer Support to offer Cancer conscious Kundalini Yoga classes for those living with or in recovery from a Cancer Diagnosis and their familly. Aswell as regular Kundalini Yoga classes I offer Conscious pregnancy Yoga classes, moma and baby classes in Westport. And am involved with the Mayo sports partnership and provide 40 minutes Kundalini Yoga classes within their Fit4work scheme within the public sector at GMIT Castlebar. I also offer classes for people with Mobility issues and have worked with the MS society, the Irish wheelechair association and a HSE Stroke support group to offer chair-based Kundalini Yoga classes to suit the less mobile and wheelchair users. I have trained with Sat Santokh Singh and am a facilitator of Healing the wounds of Life workshops.I have worked with him in small weekend workshops and large groups at the Yoga festival in France and within level 2 Teacher training groups in France.I offer these workshops locally and nationwide. I am also currently training in “The Healthy Breast program” developed by Sat Dharam Kaur a Canadian Naturopath and Kundalini Yoga teacher who has developed a program for all women to increase Breast Health awareness and also prevent and support healing and recovery from Breast Cancer. But can offer one to one guidance right now. I am interested in Facilitating the Individual to connect to and be guided by their own Soul their inner Guru, to guide them through that transition from unawareness to awareness, from darkness to Light. This is actually the meaning behind my given spiritual name Sahai means to Guide. So for many years my therapy clients have also gone home with some form of Yogic technology Homework, weather it be a simple Pranayamas or healing meditation or a full Kundalini Yoga Kriya. It feels so natural to use and share the Technology that is Kundalini Yoga. Fiona Moran(Nutritional Therapist) and myself have facilitated day workshops for Stress management utilising the tools of Kundalini Yoga, relaxation techniques and Nutritional therapy both for Public sector work groups and also privately, so please contact me if you would be interested in us coming to your workplace or as a day for the group at Flourish Centre. 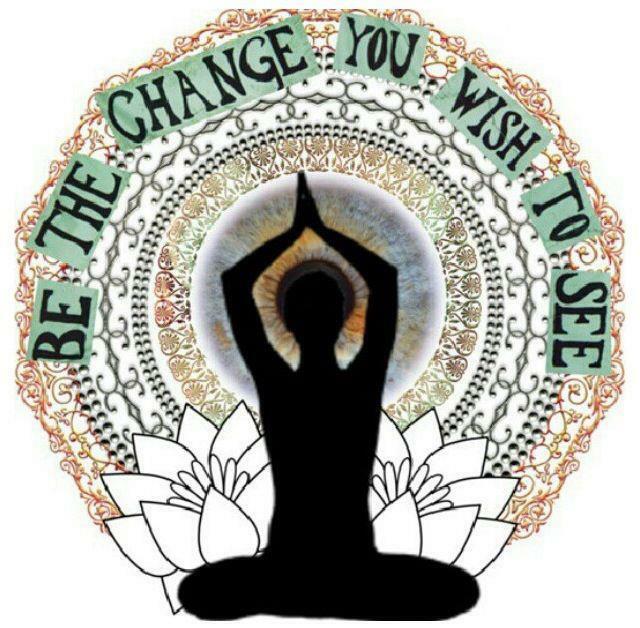 Hi Teresa, Kundalini Yoga classes are at Reflection centre, Newport rd, Castlebar on Thursday nights at 8.30-10pm from 17th September 6 weeks 78 euro. my number is 087 2462591 to book your place. Had a very deep yet gentle and poowerfully healing cardio sacral treatment session with Joanna this week. I would highly recommend her to anyone seeking support in working throug and with difficult issues and developmental traumas. Hi Mary classes start this week as per blog page in Westport, text me to book in on 0872462591. Hi Sandra, yes classes start again next week with beginners on a Thursday eve at 7pm. From the 14th. Classes will run for 10weeks at Flourish centre, Derrygorman. You can contact me to book in on 0872462591. Just wondering if you run any classes in claremorris or any where near there ? Regina Reilly teaches in Claremorris, she just recently posted class details on Facebook page. I am concentrating on nu Westport Studio, classes and workshops. Have you contact details for Reginald reilly. I livery in claremorris and would love to take up yoga. Hi Catherine, Tracy Fitzgerald will be offering classes from January in Claremorris. You can find her details on her website Relax from Stress . Castlebar based. Hope this gets you started ! Are there any pregnancy yoga classes coming up in the near future? If so, when and where are they held? Thanks. Hi Orla , pregnancy classes start in a couple weeks in Westport . Tuesday eves at 6.30pm. Let me know if you are interested on 0872462591. Hi. Just wondering if you are doing any yoga classes in the castlebar area this autumn? Are these classes just one to one or will there be a group together? Hi Joanne, I am based off the Castlebar rd 2 miles from Westport. No current classes in Castlebar or for 2017 but I have a student Teacher that has just done the Training course based in Castlebar I can recomend. I have also posted dates for 2017 THRIVE workshops and Teacher Training.